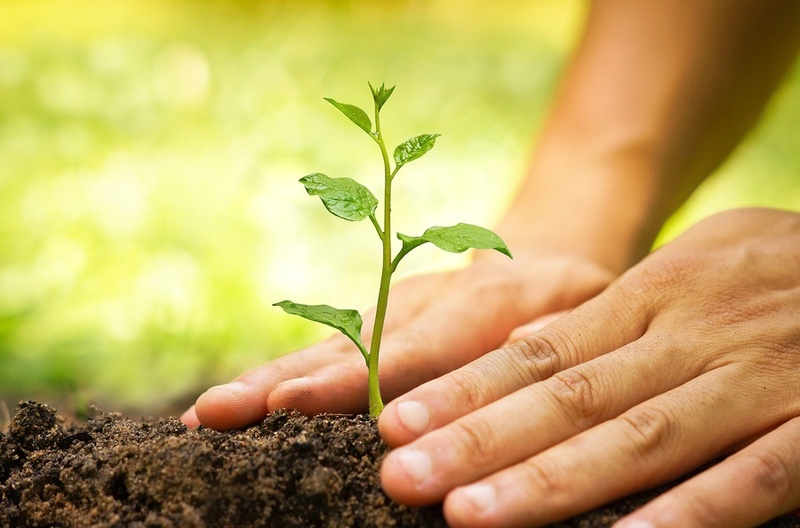 It’s not surprising that an organization’s culture often is compared to a garden. After all, culture and cultivate share the same root word. The key to creating a great culture, then, is obvious: Cover it in manure, soak it with water, and pray for sunshine. OK, it’s probably better to plant the right seeds in the best soil, nurture the garden with love, and celebrate your fruits, vegetables, and blooms. Yeah, that’s more like it. 1. Define your culture together. An organization’s culture is found in the behaviors of its employees and the values that drive those behaviors. So, leaders who want to shape their culture in specific ways realize they need input from their employees. Together, you can define your espoused culture (what you would like it to be), identify your real culture (what it actually is), and determine ways to close the gaps. 2. Rally around a shared mission. Things like mission and values statements are easily forgotten in the day-to-day, even if everyone in the organization helped create them. Find ways to make them a part of your organizational personality. 3. Design a world that supports that vision. It’s not that hard for values to take a wrong turn. Your organization might decide “winning” is a great value only to see it lived out as greed, long hours, and a lack of respect for people. Cultivate a culture that fully aligns with the intent of a great vision by modeling it and supporting it. You can’t force a culture to change, but you can live the values and behaviors you want to see. And you also need to put policies and other structures in place that gird the tenets of the culture you espouse. When you are recruiting, there’s a strong temptation to gloss over the realities of the culture that might not fit with a would-be star employee. Or an eager job candidate might pretend everything is fine just to get the job. Be transparent about expectations and value cultural fit even over talent, because a talented worker who hates his or her job ultimately causes more harm than good. Likewise, if employees on the team are destroying the culture because they aren’t a fit – they don’t share the values, they don’t buy into the culture — then it’s often best to help them find a great job at some other organization. 5. Hold each other accountable. Tough love is, well, tough. But organizations with a healthy culture always find ways to make accountability a high priority. That means individuals hold themselves accountable for the work they do and how they do it, and it means there’s a high degree of transparency and trust so that people are willing to be held accountable by each other. 6. Recognize and reward the behaviors you desire. Cultural champions infuse energy into an organization, so it’s critical to let them – and everyone else — know that you noticed. One of the best ways to do this is to share stories. You might honor someone in the company newsletter or during a company-wide meeting. Or you might share a story about a cultural champion as an example during the hiring process or during an employee review. Or you might invite a cultural champion to share his or her story during a meeting. Recognition can be formal or informal, but it has to be genuine. That’s why great leaders spend time getting to know the people around them. Then they naturally understand how to show appreciation in ways that are heartfelt and meaningful. A culture is made up of people, and people aren’t static. They grow. Teams evolve. The environment changes with the times. Thus, the journey to excellence never ends. Great leaders develop a feel for the rhythms of their culture, evaluating the ebbs and flows and adjusting in pursuit of progress and sustained health. The worst thing you can do as a leader is decide your culture is amazing and, therefore, no longer needs your attention. If you ever abandon the garden, the weeds take over and you’ll soon discover that your culture is dying of starvation.